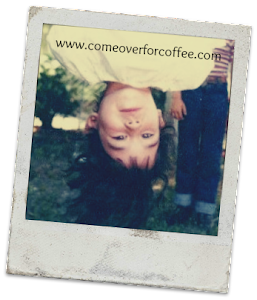 Come Over For Coffee - We'll Talk: Warning - Not My Usual Post! Warning - Not My Usual Post! "A fine bunch of water lilies you turned out to be. I'd like to see anybody make me wash, if I didn't wanna." Today is Wednesday. Usually on Wednesday, I post about something light and fluffy - something that makes me smile in an attempt to make you smile too. Today, I don't wanna (insert childish whine here, complete with pout). I'm just grumpy. No reason - life is really good here! And today I don't like people - I could tell you all about it, but that would go against my post about guarding my tongue :-) I'm just generally annoyed with folks today - news folks, Facebook folks, most folks. Not you, of course!!! I'm not annoyed with you at all! It's everyone else that's on my nerves. So I don't want to blog about something light and fluffy (to my brother-in-law who was looking forward to today's post, check back next week). I'm too grumpy. Maybe I need more girl time. I did see a friend last week, and we had a great time, but maybe I'm in a foul mood because I need more friend time. I'm going to go back and read my post about Girs' Night Out and see if it helps my mood. This too shall pass, but in the mean time, I'm going to go fix a second cup of coffee and curl up with a book.